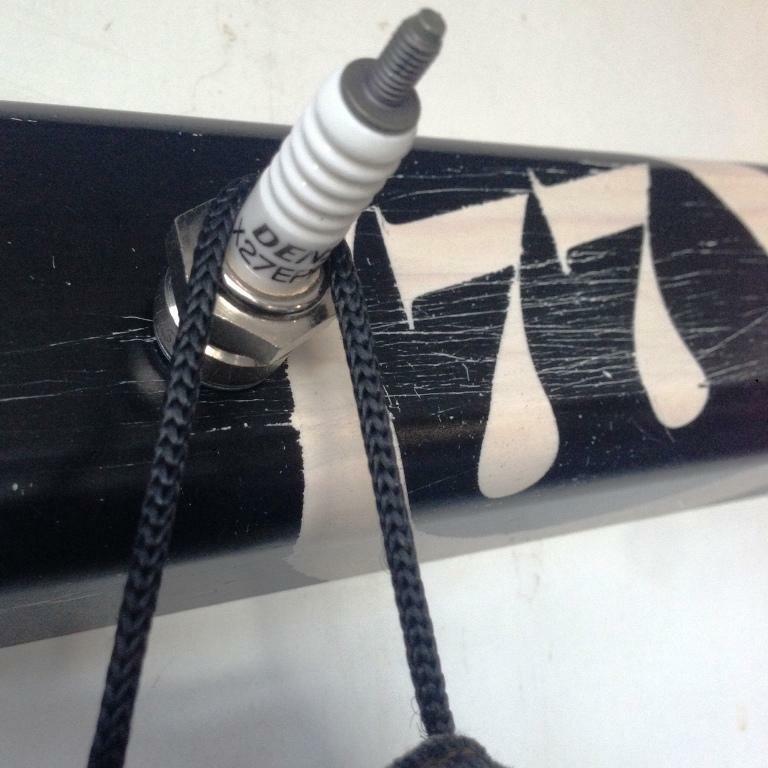 We get some questions why we call our wall hanger iSpark? No, it’s not because iPhone, it’s ‘cos ignition sparks wall hanger is tooo f… long so we find it a bit trendy to just say iSpark. GOOD enough? 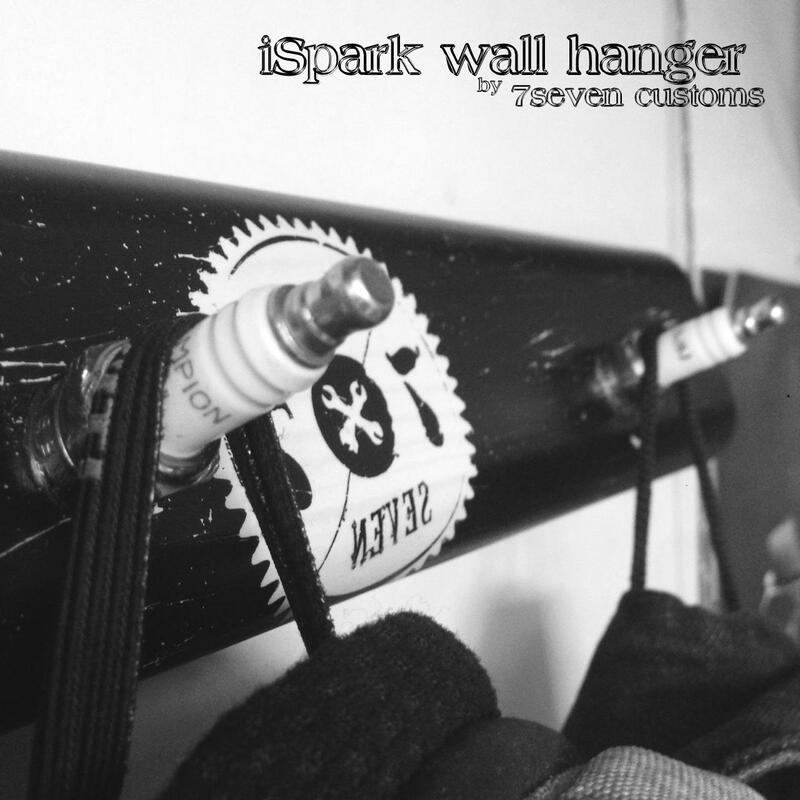 Every single iSpark wall hanger is unique and custom made out of wood and used car or motorcycles ignition sparks. 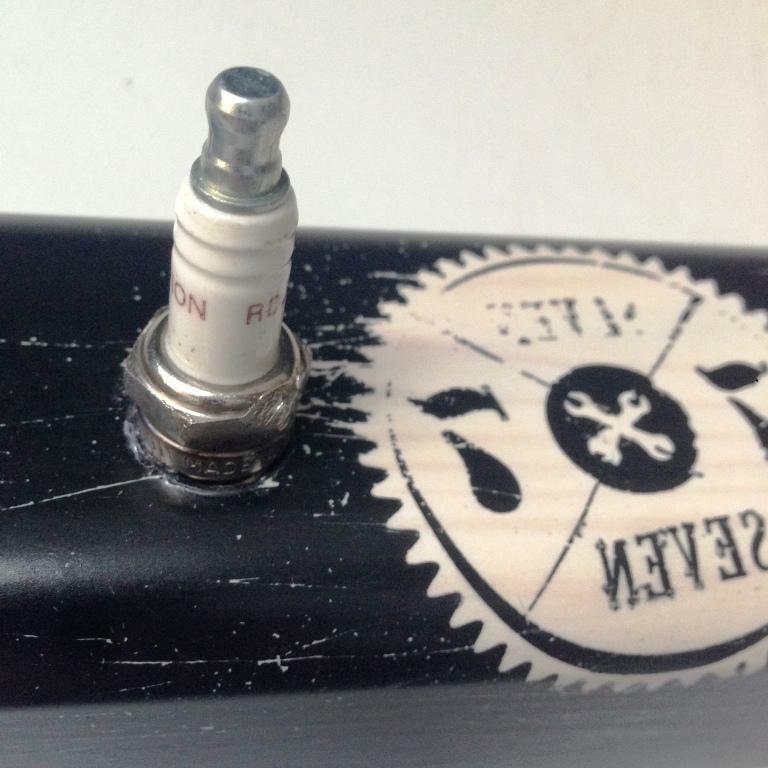 We want to give this parts a second option, a second life. Instead at dump yard, the wood and ignition sparks will end like a custom wall hanger at a car/motorcycle enthusiast place. We love this thought, like we love our custom car or motorcycle. Check this item in our STORE. At Tattoo Custom Motorcycles did an excelent job on this project. The rear subframe has been chopped, raised and a single seat fitted. Mikuni carburettors replace the questionable stock Bing units, a Danmoto GP Extreme exhaust has been fitted and cone filters replace the standard airbox. The suspension has 15” long Ohlins shocks at the rear and Racetech springs and emulators installed in the front forks. Tires are Continental Twinduro, Brooks bicycle grips on Renthal bars and the use of Motogadgets M-lock wireless start system. And the look, oh god, simply beautiful!